I was so eager to meet Ryan and Morgan for their consultation that I showed up at Starbucks a little early. Well 48 hours early to be exact! We planned to meet on a Thursday evening but my mind somehow read Tuesday in their email. Thankfully they gave me a chance to prove that I'm not a complete space cadet and agreed to meet that upcoming Sunday as Tuesday didn't work for them, and I was unavailable on Thursday. This time, they were the early ones! I always like when couples bring their wedding planners or notebooks with questions for me, and Ryan and Morgan came prepared! They seem like just the couple whose wedding will be well thought out and planned right down to a T.
Morgan, however, will need to do much of the planning. Shortly after we met for their engagement session, Ryan headed out to serve our country! It's always so humbling to work with couples who are making the ultimate sacrifice in their lives and relationships for our freedom, and I can't thank them enough! Ryan will be back just in time for their July wedding at the gorgeous new Vennebu Hill. They took a risk booking a venue that is under construction, but I am sure the payoff will be worth it from what I've seen following along their story on social media. My husband and I took the same risk a few years ago, as we had booked our reception venue with nothing more than an old building and a few blueprints to look at. We couldn't have been happier with our choice, and I hope Ryan and Morgan will be able to say the same in a few months! Ironically, I'm writing this post from the new Beans n Cream Bakehouse in Sun Prairie. 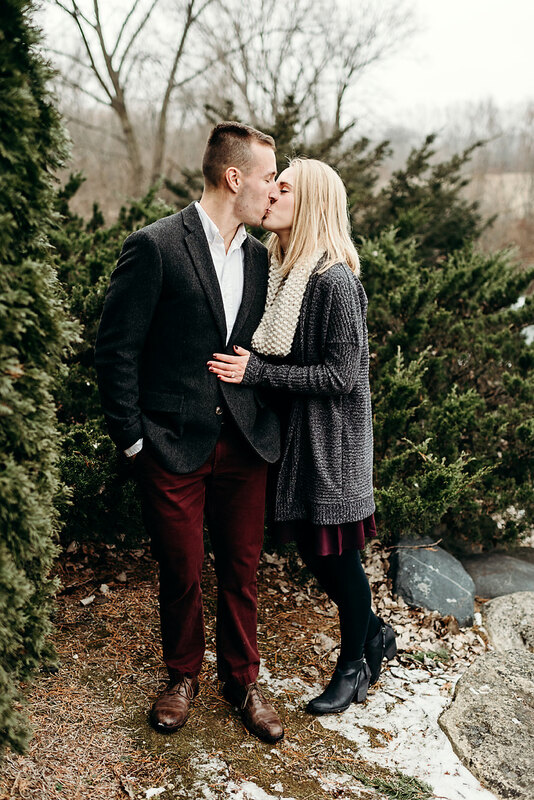 We were originally going to meet at the Beans n Cream coffee shop downtown Sun Prairie for their session, because they love going there, and if I remember correctly, it was where they had their first date! So here's to a lifetime of coffee dates for Ryan and Morgan, and a new place to check out when he comes home!